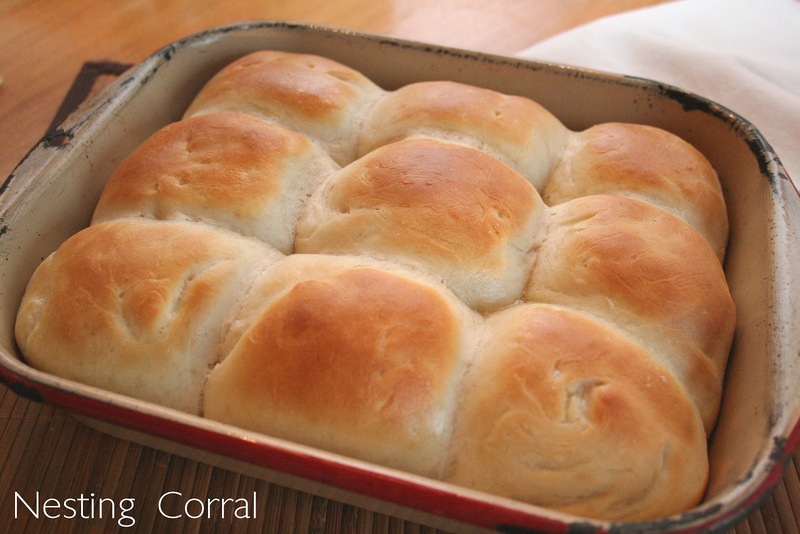 These are my favorite dinner rolls to make. They are so easy and they taste amazing. Way better than the frozen dough kind you buy at the grocery store. I love rolls fresh out of the oven, but I'm not a huge bread making fan. However, you can't mess these puppies up too easily. 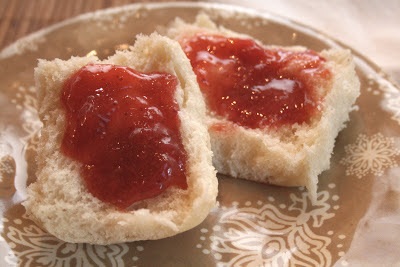 They are a cinch to make and you don't have to do any kneading. In microwave safe bowl or glass measuring cup stir together milk and sugar. Add the butter and microwave until butter is melted (usually about 45 seconds-1 minute). Set aside and cool to lukewarm. Using a mixer bowl, dissolve the yeast in the warm water (warm, not hot). Add the milk mixture to it (make sure milk mixture is not too hot, or it will kill your yeast). Mix in the salt. Using the dough hook on low speed, add in the flour one cup at a time. Mix for about 3 minutes, until dough is forming into a ball and is cleaning the sides of the bowl off. Dough will still be a little sticky. Put some oil on your hands and form the dough into a ball. Put dough back into the bowl and cover with a clean dry dish towel. Let rise in a warm, draft free spot for 20-25 minutes. Lightly grease a baking dish. Roll balls of dough about 2 inches in diameter. Place the dough balls in the baking dish about 1 1/2 inches apart. Cover the rolls with a clean dish towel and let it rise in a warm place for 15-20 minutes, or until dough has doubled in size. I need to try these and the cookies! we are gonna make these with soup tonight for a trial run before Thanksgiving.